Cloth diapering (or the prospect of it) can easily be an overwhelming experience initially. There are so many diaper styles, accessories, concerns, and an entire internet filled with information. For most would-be cloth diaperers, the most daunting piece of the cloth diaper puzzle is laundering soiled diapers. It seems as though the immediate reaction to washing cloth diapers is “gross.” In reality, washing soiled diapers is no worse than washing stinky socks. Yes, there is a little more work involved but the point is, it is not as bad as everyone envisions. I am providing you with a breakdown of my laundering system. It has worked consistently well since day one. Your own wash routine will vary depending on the type of machine you have, your location/water consistency, type/brand/fabric of your diapers, etc. (I use Bum Genius 3.0 and cotton/cotton-flannel wipes.) Through trial and error (and yes there will be an error or two), you will create a routine that works, and you will laugh at how scared you were of laundering soiled diapers! Please see the bottom of this post for more laundering resources. 1. Wash ALL of the diapers in COLD water on the shortest cycle. Use ½ of the detergent called for on the detergent label. 2. Line dry for 3 hours. 3. Repeat the process for a total of 4 times. Washings 2-4 need only a teaspoon of detergent. Seriously. Hardly use anything. 4. After the last wash/line dry cycle, make sure you throw the diapers in the dryer on low for about 20 minutes to sof ten them back up again. Line drying makes them a tad crunchy sometimes. Since 4 wash/line dry cycles will take about 12 hours, you can break it up over a few days. While your baby is exclusively breastfed or formula fed, there is no need to rinse the diapers. Just throw them in your pail or wetbag until wash day. Once your baby has more substance to their poop from eating solids, you will want to dump the poop in the toilet but no need to rinse the diapers unless there is a lot of guck stuck on or your baby had diarrhea. I do have a diaper sprayer hooked up and I like it. I was not a fan of the “toilet dunk” method. As long as your cloth diaper stash is sufficient, you can wash every other day. You can sometimes get away with every three days but a little bit of an odor can start to build up on the diapers. Every other day seems to keep this down. Step 1: Pre rinse cycle! This is critical to keeping stains and smell to a minimum. Run the diapers through the RINSE cycle on your washer. This should be a quick, cold water cycle. The cold water is what does the trick. No detergent yet. Step 2: Set your washer for a HOT/COLD cycle or a WARM/COLD cycle. Either is fine but HOT/COLD is best. You will want to run it for a “heavy” load. If your diapers happen to have been really soiled (lots of poop) then you will want to set it for a pre-soak. Otherwise, no need. If you have the setting for EXTRA RINSE, set that as well. Add a little less detergent than called for on the label and off you go. Diapers are headed for clean! Step 3: If you do not have an Extra Rinse cycle you will need to run the RINSE cycle again after the diapers are done washing. This gets any leftover detergent out. Detergent left on the diapers can lead to diaper rash. Step 4: Line dry as often as possible. The best time to line dry is between 8am-11am and then again from 2pm-5pm. You need direct sunlight but not during the heat of the day. Three hours in the sun is plenty of time to dry, become sanitized, and to have the stains lifted out magically by the sun! You may want to pop the diapers in the dryer after line drying to remove the crunchy or to complete drying if they are still a little damp. 20 minutes on low should be enough time. If you cannot line dry, then throw the diapers in the dryer on medium-low for 45 minutes. Follow up with an additional 15 minutes on high to sanitize them. Some stains might remain this way but will disappear when they get into the sun again. If your diapers start to stink, you may need to strip them. I have only had to do this about twice a year. Usually it happens when I cannot line dry as often. Stripping is easy. Just do your normal wash routine but use 1 TEASPOON of the BLUE DAWN liquid dish soap. You will probably need to run the RINSE CYCLE two or three times after you wash them to get all the soap out. The Dawn strips out all of the odor somehow. It’s magic. I have never found anything else that is effective. Steer clear of bleach, stain removers, and fabric softener. All of these will make the diapers less absorbent. A little white vinegar every now and again is ok. But only use it if you really need to. Now what about detergent? Well, I was a die hard fan of Charlie’s Soap but after 20 months it just stopped working. Shortly thereafter, I read an article on the company that gave me cause of concern. So I switched to Planet Detergent which worked beautifully. However, it is pretty pricey and I like to use one detergent for all of our laundry. Several months ago I got to know The Peaceful Housewife’s products and gave her laundry detergent a try. I wrote a review about her products here but let me just share how awesome her detergent is for cloth diapers (and other laundry too). I have found my most favorite detergent on the planet! I know a lot of moms who swear by soap nuts/eco nuts but be forewarned…if you have a latex sensitivity or allergy these will not be a good choice for you. Additional note – I also throw all of my cloth wipes and my daughter’s “training underwear” in with the diaper laundry. Everybody plays nice together. Hopefully my laundry tips and tricks help you in your cloth diaper journey! 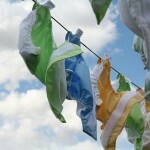 Laundering can certainly be the most challenging part of cloth diapering! Just remember – line drying really is the key to laundering. The more you can do that, the less odor and staining you will encounter. 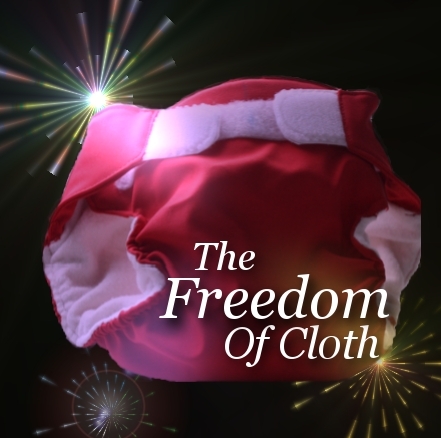 Best wishes on your cloth journey! The Diaper Jungle provides a great page of laundering information in which they discuss the wet pail verses dry pail method; laundering in a Laundromat setting; detergent choices; and laundering mistakes to name a few. 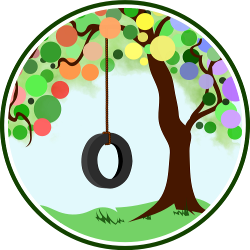 Green Mountain Diapers has a concise discussion on laundering using a method similar to my own. They also discuss washing machine differences to help you better understand washing in a front loader versus top loader. Cotton Babies has a really great Q&A style page on common cloth diaper concerns as it relates to stains, odors, stripping, and general washing information amongst other topics. Zany Zebra talks about everything from basic washing techniques, to variations, to new diapers, to tips and tricks. Jillian’s Drawers has great information on the use of baking soda and vinegar as well as diaper odors and lengthening the life of your cloth diapers through various laundering techniques. Michelle over at The Cloth Diaper Whisperer has a great post about her wash routine including why she separates her covers and inserts as well as why she loves her detergent choices. Samantha writes a guest post for the I Love Cloth Diapers blog in which she discusses why a simple wash routine is the most effective and easiest. Jenny has a guest post up at Job Description Mommy which delves into the ins and outs of cloth diaper care. 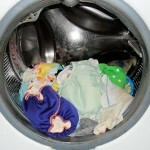 She has some excellent tips on what not to do when laundering your cloth diapers. Perfect timing, thanks so much! I just got a bunch of new diapers for baby’s arrival next month and have been feeling overwhelmed with all the “instructions” out there. Can I ask you a couple of follow up questions? 1.) The pic on the blog shows a front-loader… is that what these instructions are for? (That’s what I have and it’s hard to find consistent info). 2.) How many diapers can you wash at a time? I have a front loader and some people say only 10-12 diapers/wash (pocket diapers) and some say 24+ per wash. I’d like to do as few washes as possible, yet stay clean (I rent and have to pay for each wash). Thanks again! Thank you so much for the valuable info! As a first time mom to be this year & a cloth diaper newbie ( no one I know personally cloth diapers) I have been researching, and your wash routine seem to be the best and most practical I have found so far. Not to mention eco friendly *which I love* because of all the line drying. Thank you so much again. What are your thoughts on Sun Free and Clear or Purex Free and Clear? Hi Tina! Glad that this post was helpful. I have a front loader so I guess you could say that this routine works best for me and my front loader. Front loaders are tricky as the presoak options are not quite the same “soak” as a top loader. That is why the cold prerinse works so well. I wash every other day, regardless of the number of diapers. Odors tend to build up if you wash every three days. So I do not go by the number of diapers although I have washed almost my entire stash at one time after my daughter had a crazy intestional flu. I crammed 30 diapers in the wash and they were fine. I do not see a real need to wash every day unless your stash isn’t that large OR you have a heavy useage day (like with an illness). Hi Lauren! I hesitate to advise you to use something like Sun or Purex free and clear. Yes, they are going to be more gentle on the diapers BUT they are still chemical laden which over time will degrade the diapers more than an all natural alternative. My friend uses Seventh Generation and said that it does a decent job but she finds that she has to strip her diapers often. Planet is honestly awesome and if you can swing it, go that route and only use it for diapers (unless you can afford to use it as your main detergent). You can get a good deal on it through Diapers.com. My most cost effective suggestion is to follow the link I provided for the Peaceful Housewife’s shop. Her detergent is out of this world and works on EVERYTHING! One thing to keep in mind about “non-eco friendly” detergents is that if you do use them (and I am not saying that they will not work) you will want to triple check that ALL the detergent is completely out of the diapers. For some reason, those detergents like to linger a bit more than the ecofriendly ones. I’m so jealous of all these sun posts! When my yard is finished I’m asking for a laundry line. I use All Free and Clear. I have a top loader HE machine and I use 1/4 the amount of detergent suggested by the label to wash 2-3 days worth of diapers. I recommend in my consultations for washing with front loaders about the same amount of washing detergent or soap. Though I have yet to take the plunge into finding a new detergent since my last Eco-friendly disaster with washing. Great post! Awesome post. This is another I’ll be adding to my “resouces” list to refer people. As you show, it’s so easy once you get into a routine that works for you. Washing in shared machines is doable and good to be in the habit of before traveling, too. Great post! I usually prep new diapers by washing with other things (linens and such). This way I don’t waste water or electricity. The great part with synthetic materials is that they only need to be prepped once – very easy. Natural fibers though take a fair bit more work. But it’s amazing how many loads of towels we seem to do in our house in a given week. So easy to throw them in at the same time.